free airtime app that you can't afford to miss out this time around. 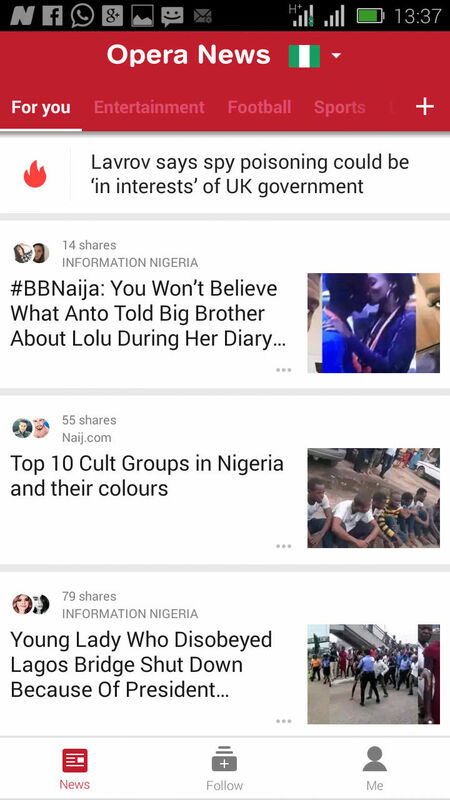 So this app is nothing more than opera mini news app. 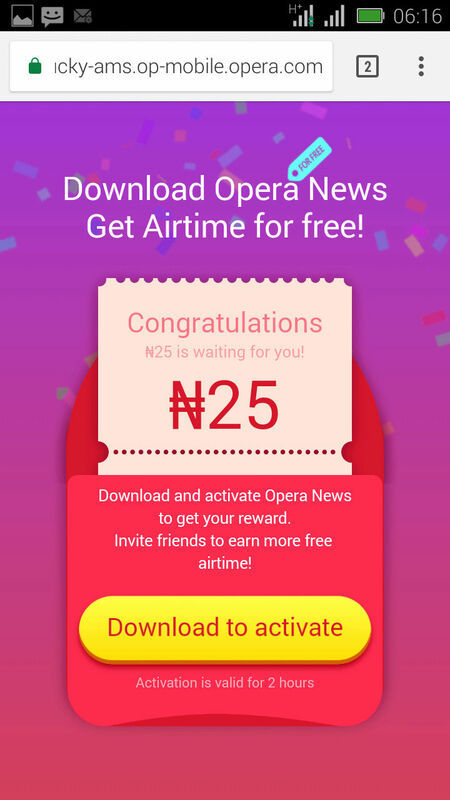 So the ideology of getting free airtime is still the same with Opera News app. So let's take a look at what this app is actually meant for. Opera News is a news app with a powerful recommendation engine to keep you on top of all the things you love to read. 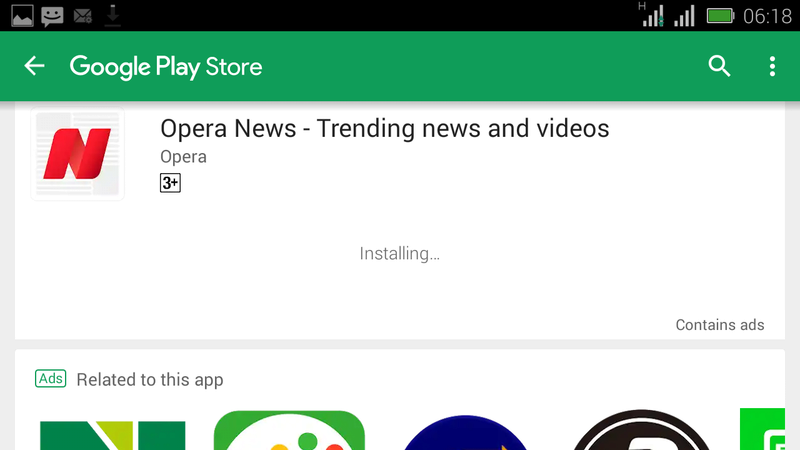 Opera News delivers a variety of trending news and entertaining videos and gets smarter with each use. In addition to delivering great content, Opera News can also save up to 80% of your data use thanks to our unique turbo engine. Try Opera News and spend less time searching for news and following your favourite football team, all while saving data! How To Get Free Airtime Using This App. Well it is quite simple and straightforward just like other apps. So the system adopted is still the same. The app has a small file size of 6.81mb. =>After you've downloaded the app, then quickly launch. From there there you will receive a congratulations message of N25 free airtime. *Well, thus method is actually based on referal. *Every person you refer through your link, you will be given nothing less than N50. *Wow, that quite huge and at least can go for an affordable data subscription. You'll see "Get Free ₦25"